They all don't have to be from Bidvine. Reviews are one of the most important ways for professionals to stand out on Bidvine. Reviews allow prospective customers a chance to understand the quality of your service as defined by those who have worked with you in the past. Experienced professionals that come to Bidvine can be recognised for their experience from day one. To request reviews from your previous customers, log in to Bidvine and select Reviews from the main navigation. You can then select Request Reviews and follow the instructions to either email your customers or copy a link to share with them directly. 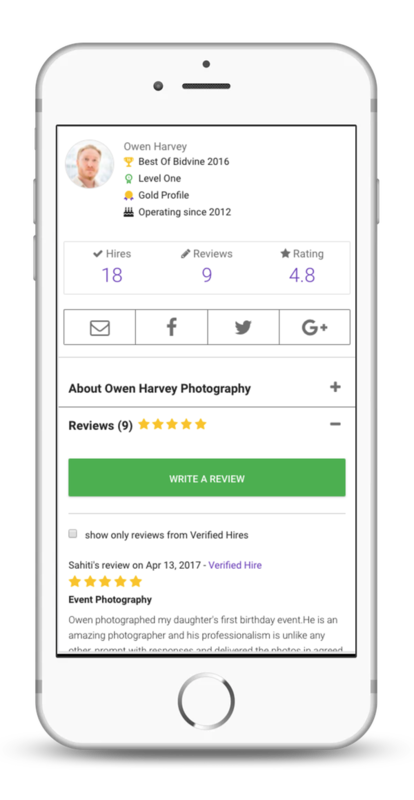 Once you've been hired on Bidvine, you can request reviews from the customers using the platform. This is a great way to gain valuable feedback about your service and further add to your Bidvine profile.